Seven months we’ve waited for this weekend. Spring Fling 2018 has arrived and happy to report it was well-worth the wait. 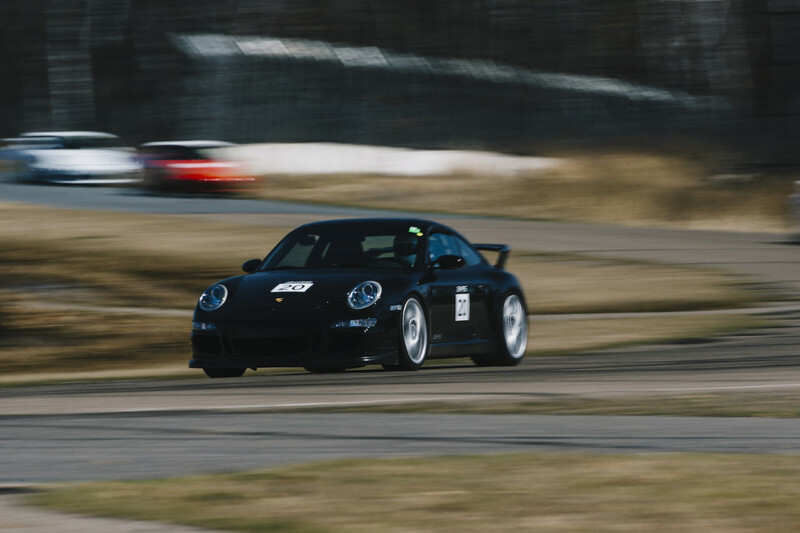 2018 marks our 4th season supporting Porsches at BIR. 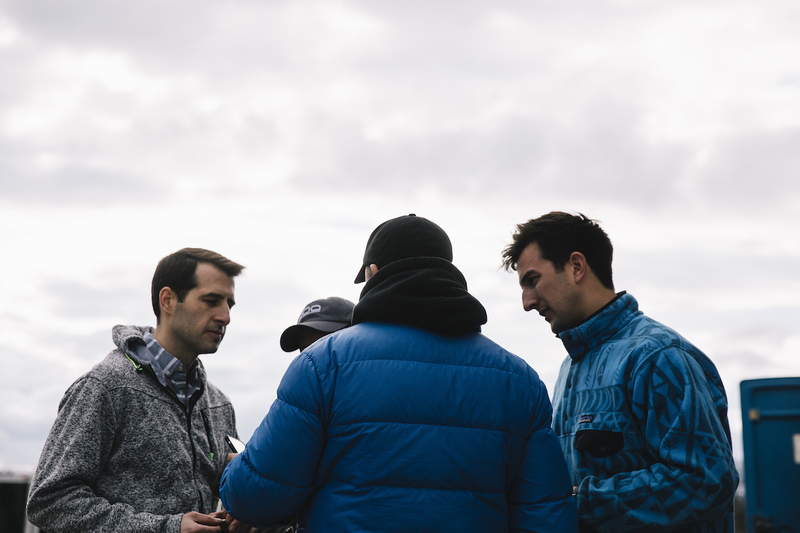 With each year, our crew grows and the setups develop further. 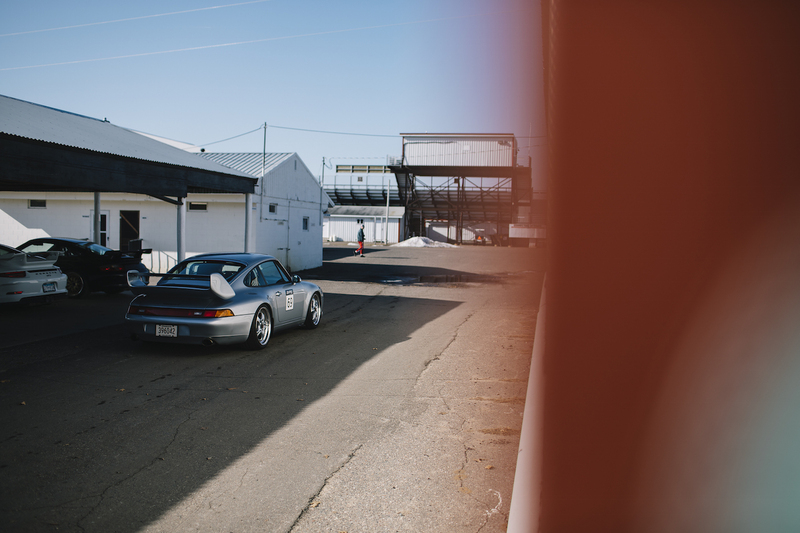 This season brought with it a nice variety of Porsches old and new to the 311RS Paddock. 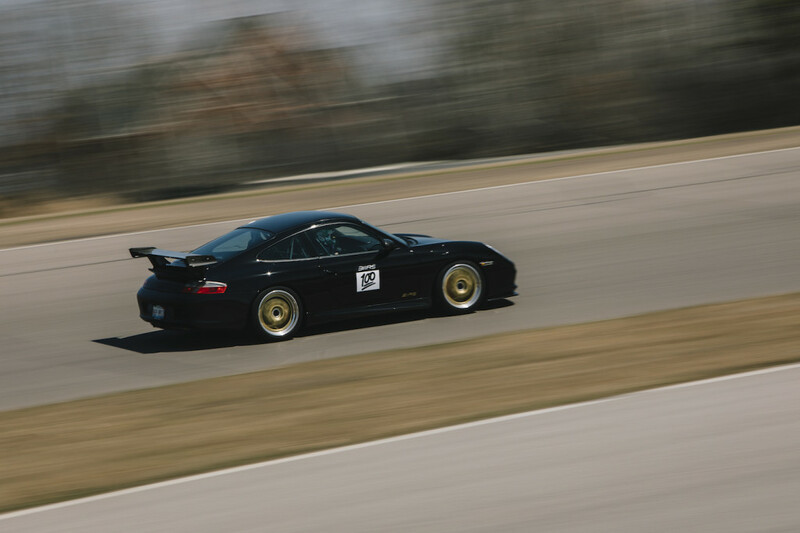 Some familiar faces – Luis’ 996 GT3 has been with us each of the four seasons for Spring Fling. 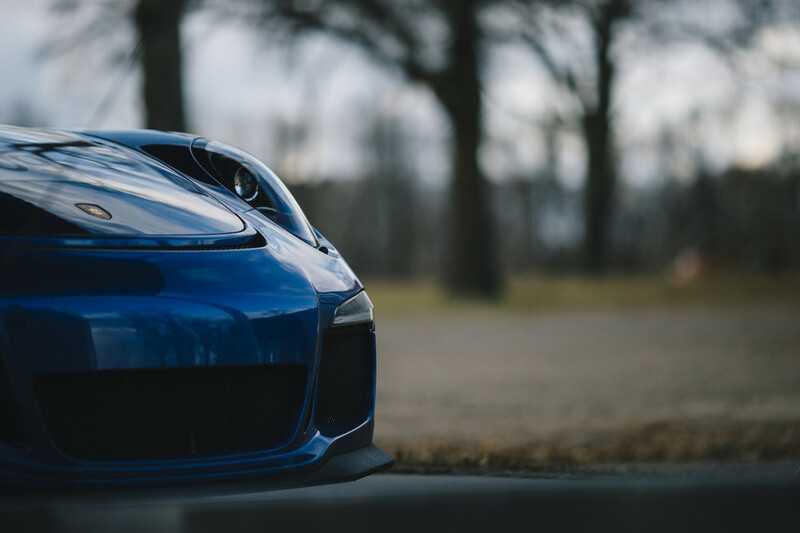 His car has further evolved for 2018 with a GT3RS front bumper and a carbon decklid. 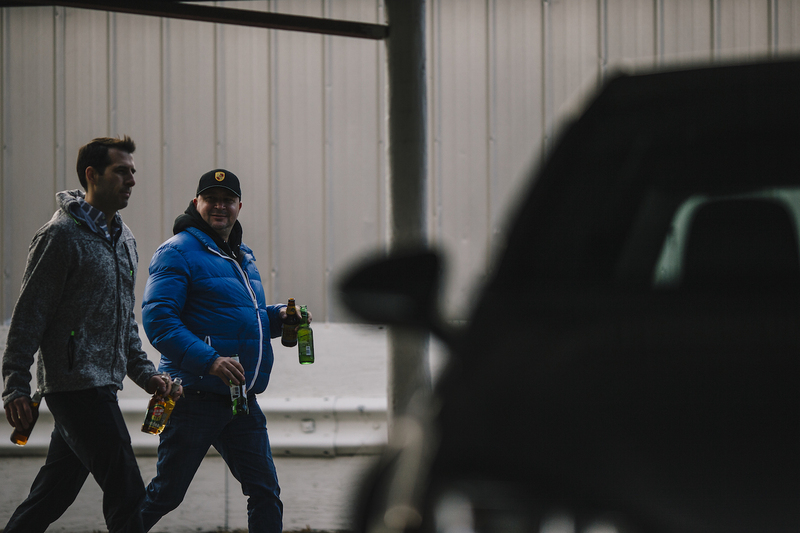 Some new faces – Rich swapped his 997 Turbo for a 997 GT3. The car came to us with 31,000 miles and good bones. With time and some elbow grease, Rich had himself a great platform to continue development of his driving skills. 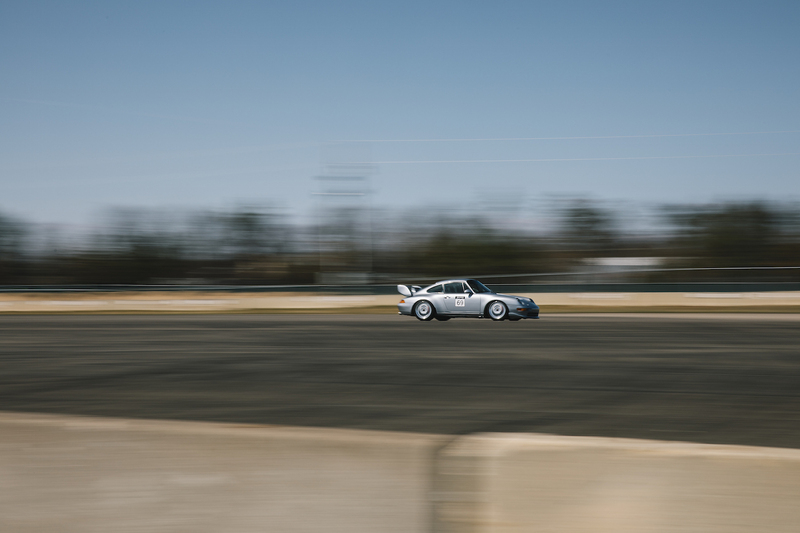 And some faces that have evolved – Jean’s 993 has gone through a winter-long transformation from a wholesome 993 C2 into a track weapon we call the CupSport. 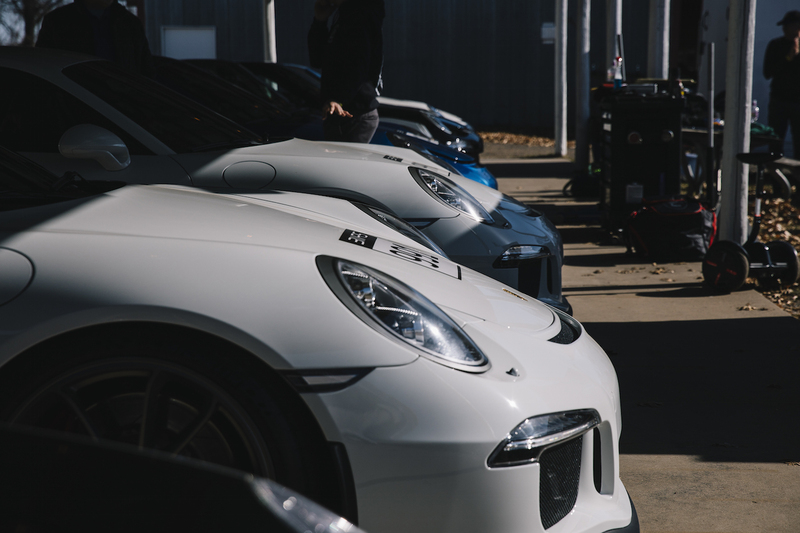 Center-lock magnesium Speedlines from a Supercup, custom JRZ RS Pro dampers, and a 150lbs weight loss regimen only tell part of the story. His target laptime for the weekend was a sub-1:50. Having ran a 1:55 last season, the target seemed within range with some time on the new setup. Read more on the car here. 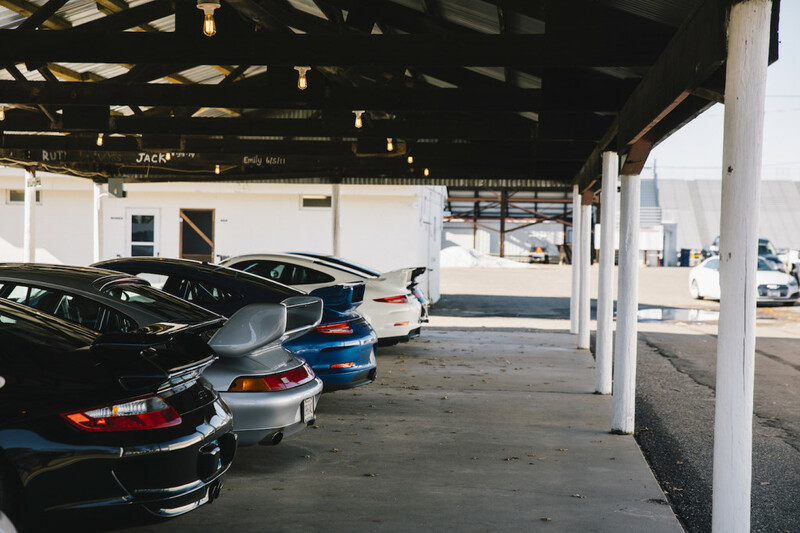 In total we had 9 311RS-prepped Porsches on hand. For the first time in years we were graced with sun to start the weekend. 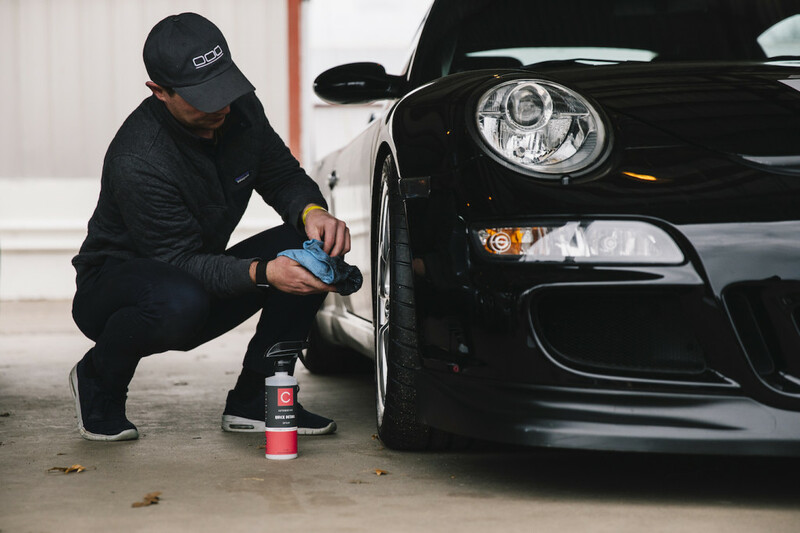 Pressure check – we aim for 29psi front & 33psi rear with the Michelin Pilot Sport Cup 2 on the 911s. Helmets on – a focus for 2018 was to equip each of our drivers with the latest in safety equipment. Tom seen here strapping on his Arai GP5W helmet and HANS H3 device. 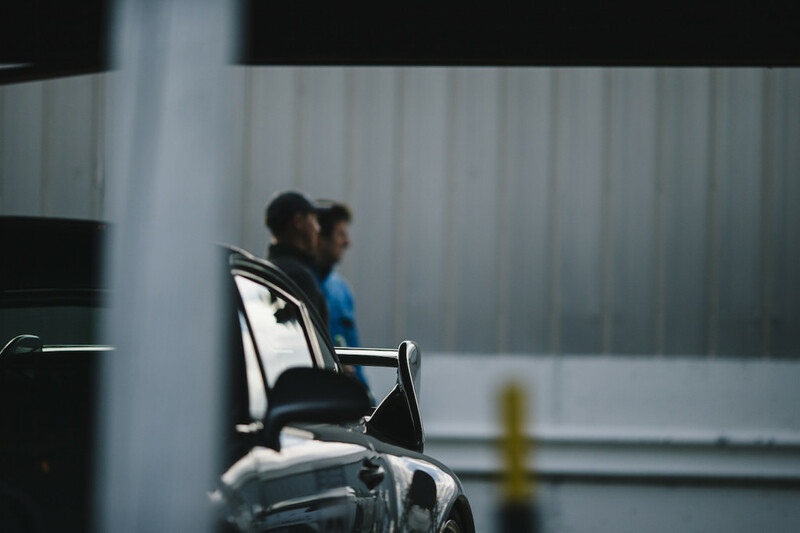 And just like that the cars were on their way to the track for the first time of 2018. Ahhhh. 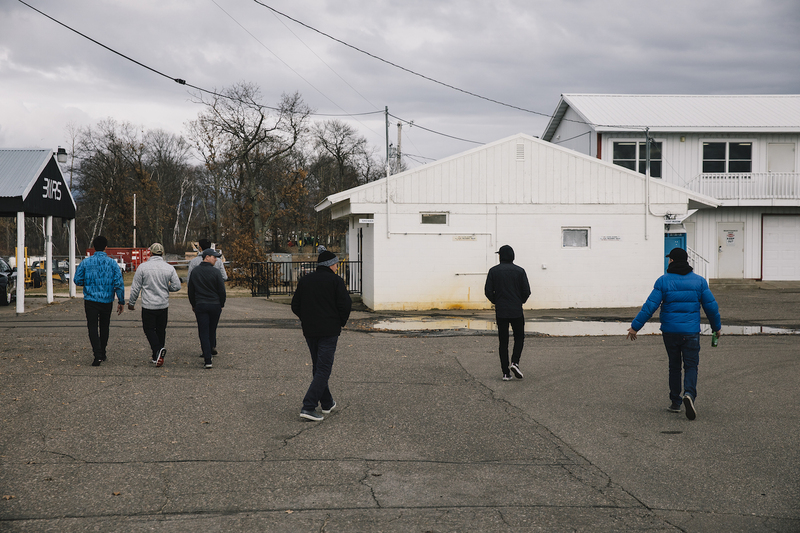 So good to be back. The cars were loving the fresh spring air. The tires too, tire temps are much easier to manage when air temps stay below 70*. 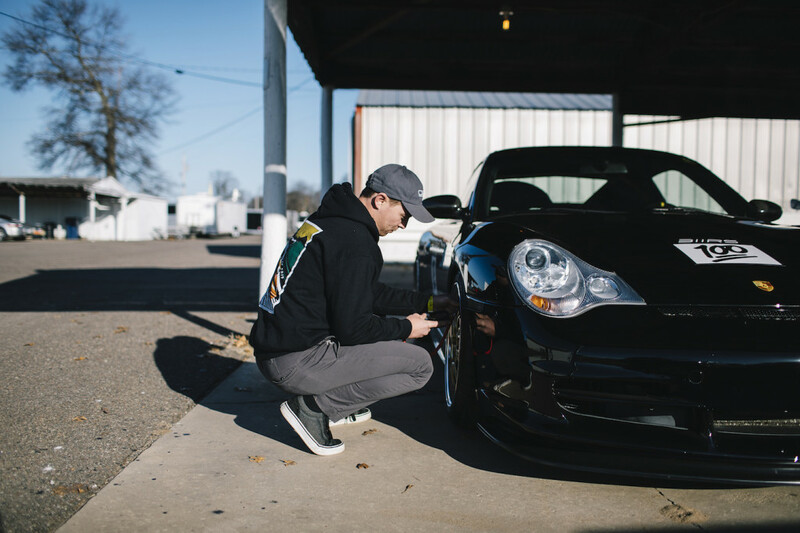 Luis’ 996 GT3 was cruising all weekend. 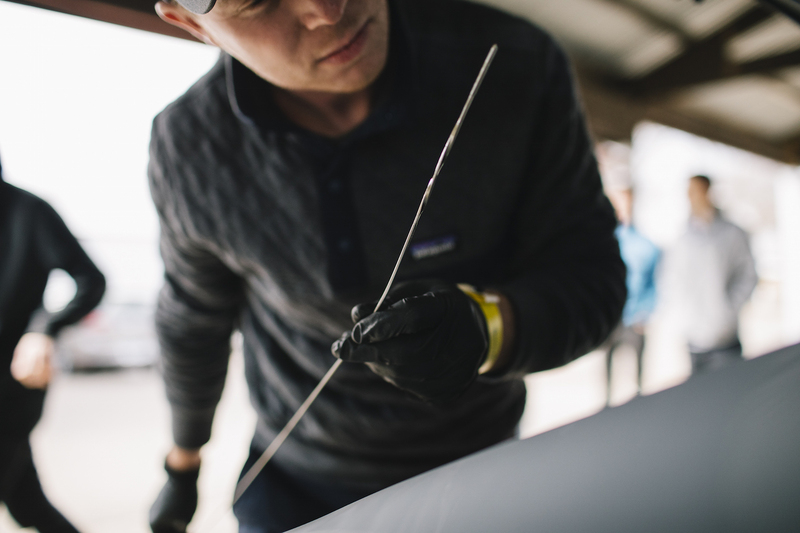 We’ve worked to dial in his setup over the past four seasons, focusing on chassis development and driving dynamics. 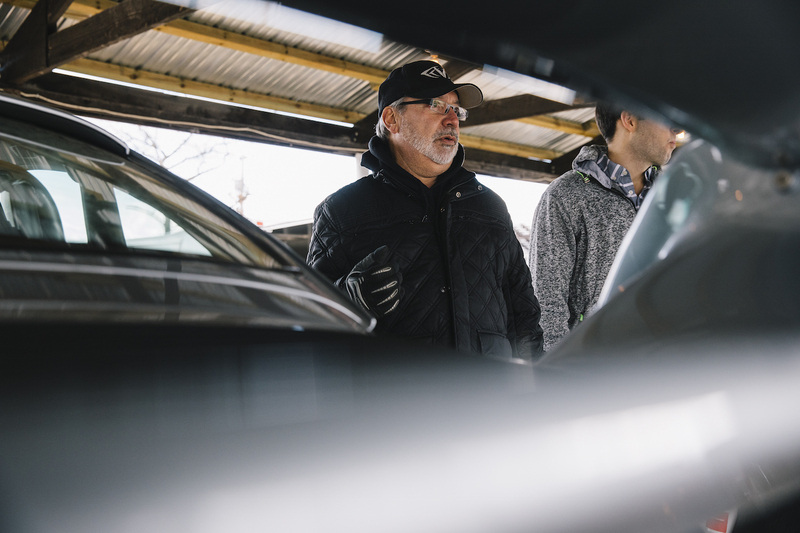 This season our focus was cutting weight from the platform – 50lbs was removed by way of carbon fiber hood, RS front bumper, and removal of unnecessary interior bits such as glove box, sun visors, and airbags. 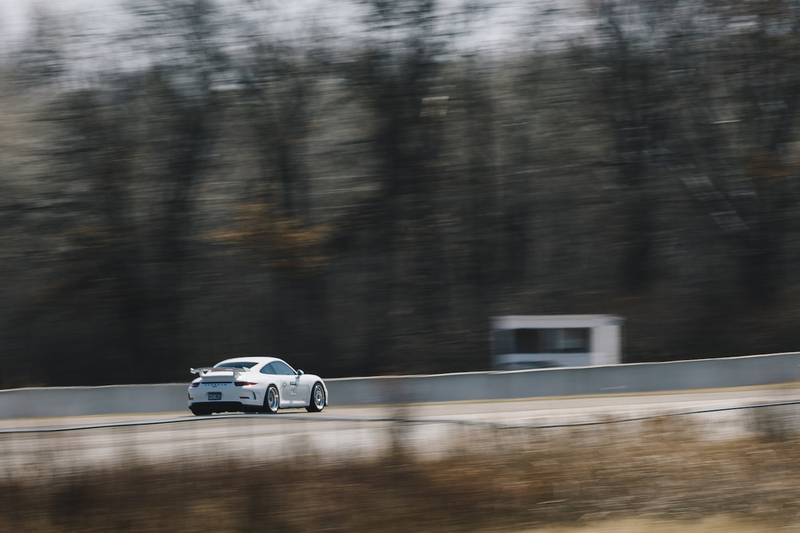 On the other hand, we have Rich’s 997.1 GT3 on track with us for the first time. 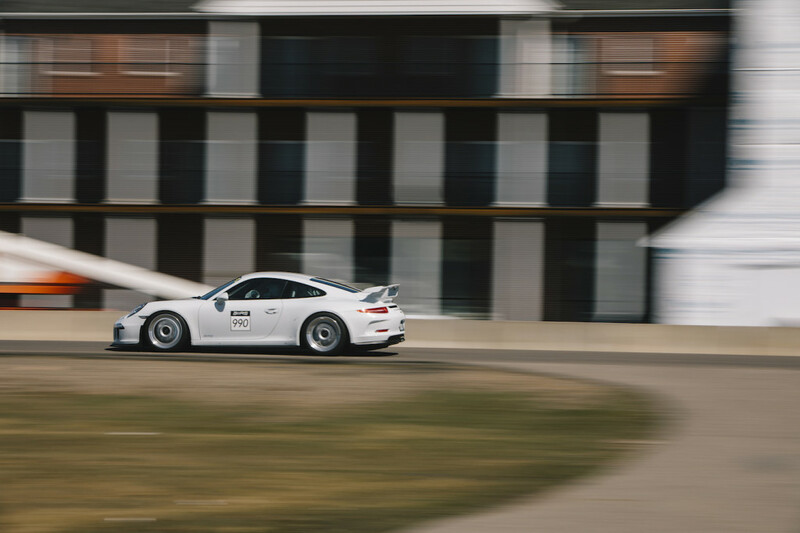 His GT3 is equipped with solid baseline setup that will develop as he and the car grow together. Currently he’s running solid bushings, Recaro Profi XLs with harnesses and a roll bar, wider Sport Cup 2s up front, and a pair of FVD side muffler bypasses. 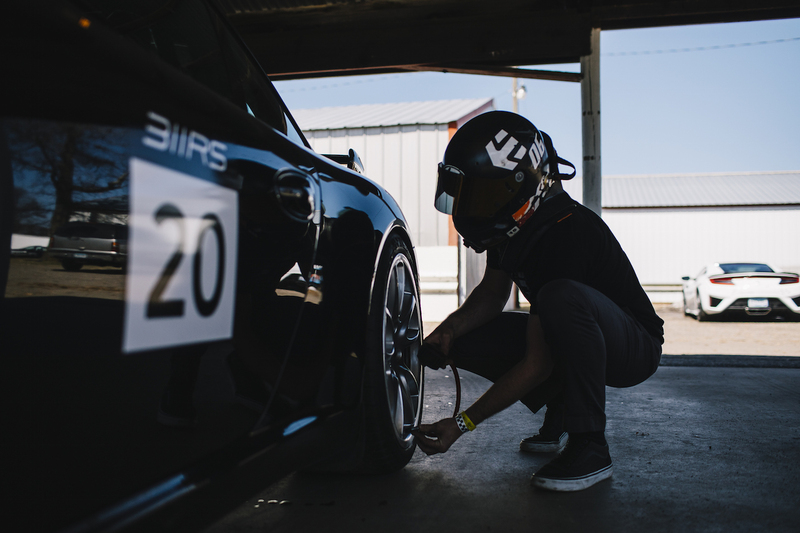 On a fresh setup such as Rich’s, we’re on his tire pressures all weekend to ensure the setup seats properly. These shots are from the braking zone into Turn 10. 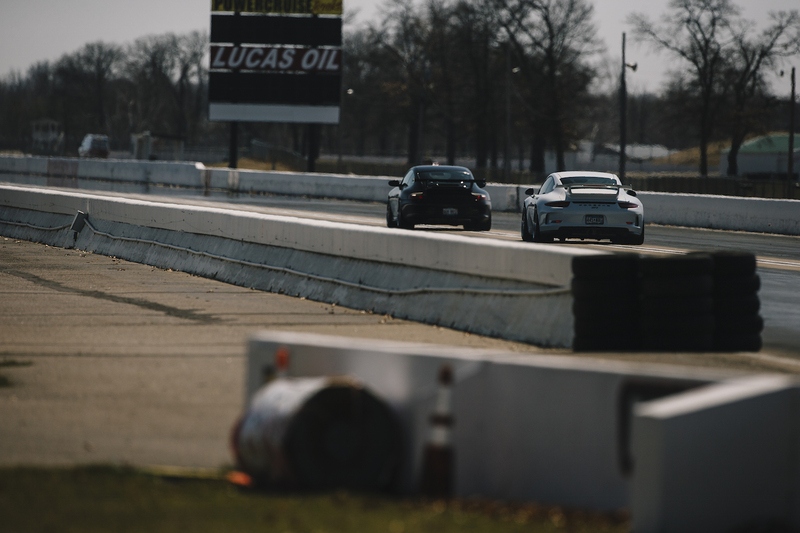 It’s interesting to see how each of the cars settle into the corner differently under hard braking. The cars on stock dampers tend to dive a bit, while the CupSport on our JRZ RS Pros stays relatively flat. 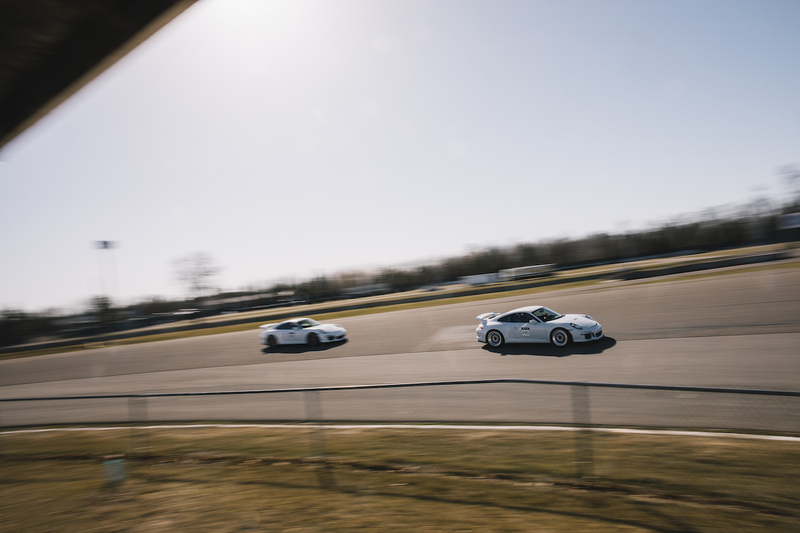 A pair of our 991 GT3s enter the banked apex of Turn 10. The chassis setup on each is similar, however the lead car #990 runs our 19″ BBS E88s with wider F265 & R325 Sport Cup 2s. Driving the two back to back is interesting. The cars feel similar but the added grip of the 19″ setup is felt under braking and corner entry, leading to a ~1.5 seconds per lap advantage. Here the banking though Turn 10 is evident. From here the cars load up and slingshot onto the mile-long front straight of BIR’s Donnybrooke configuration. 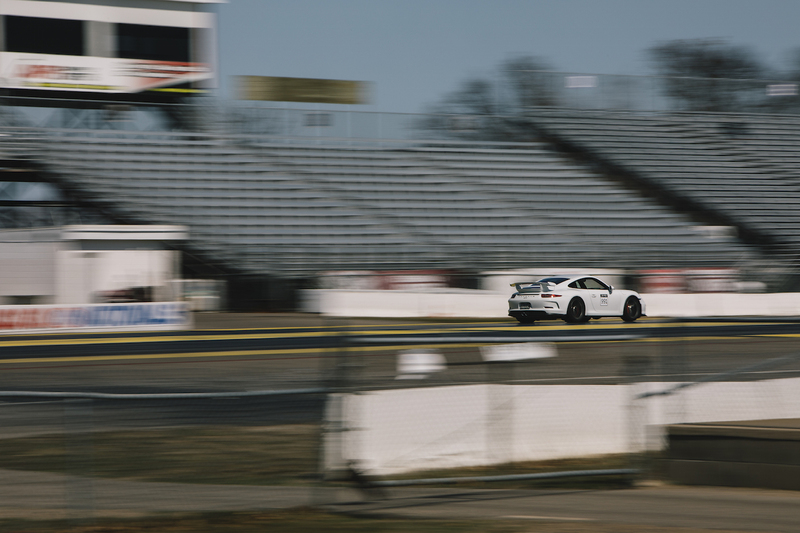 The main straight makes use of the NHRA 1/4 mile drag strip that BIR is most well-known for. 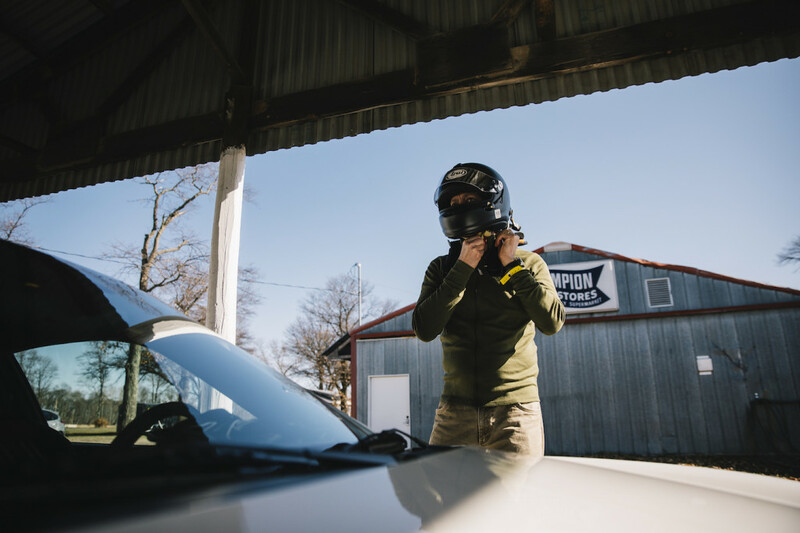 While unique, the dragstrip and the rubber laid down upon it, make for a hairy situation in anything other than perfect sunny conditions. The rubber becomes slipperier than ice with slightest bit of moisture. Thankfully thatt was none of our concern for Spring Fling 2018. 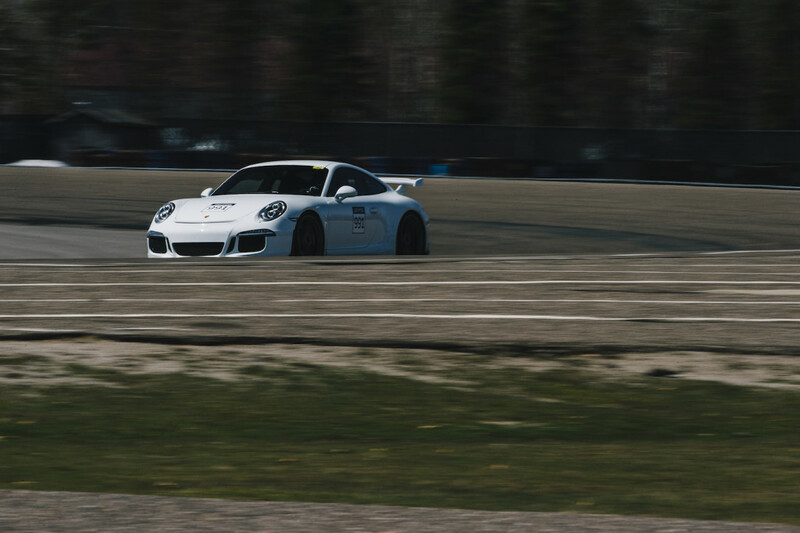 The conditions made for consistently fast laps throughout the weekend. This shot is right at apex of Turn 1 at ~135mph. 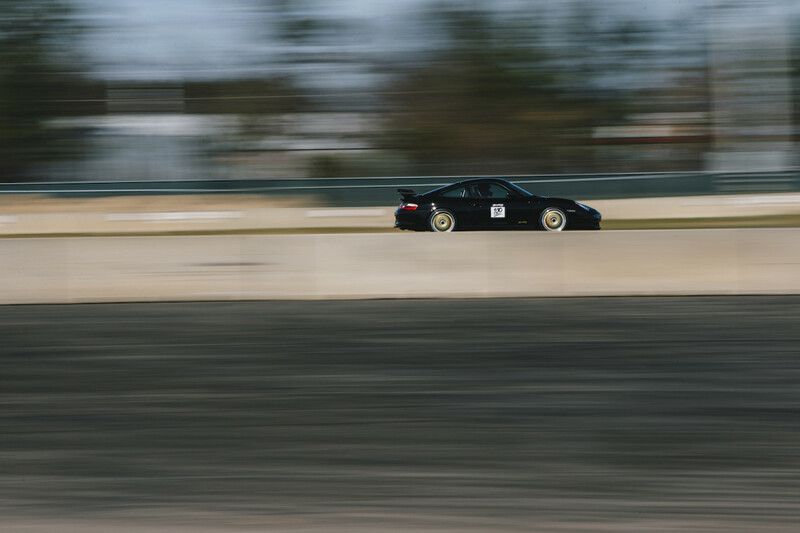 Nice panning work, Peter! Before day one comes to a close, we swap tires side to side and nut & bolt each car. BIR’s high-speed Donnybrooke layout has a tendency to eat the driver’s side tires if not managed properly. 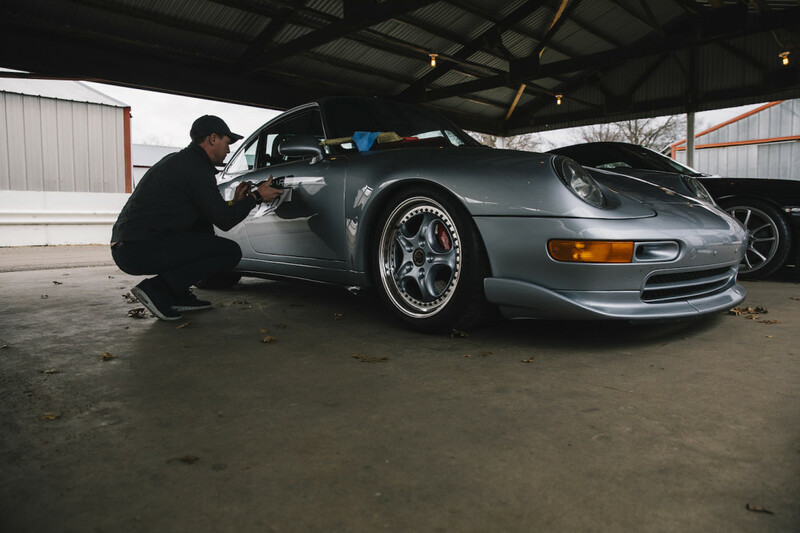 The new center-lock setup on Jean’s 993 CupSport calls for a 330 ft/lbs torque spec. 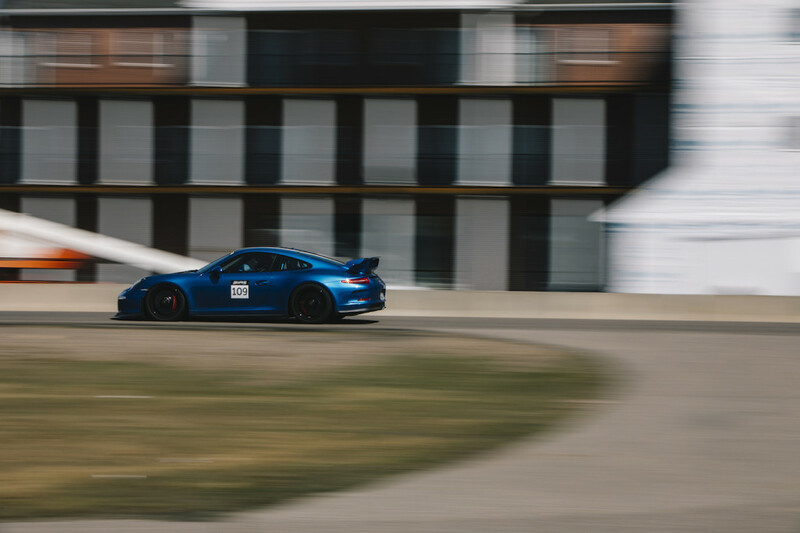 A big number, however it’s simple enough using the specialized torque wrench we use for the 991 GT3s, which themselves are torque’d at 440 ft/lbs. Bench racing begins the moment work is wrapped up for the day. Nord Stern hosts a daily happy hours as the track goes cold. Bench racing escalates as the brews flow like race fuel. A successful day to start our 2018 season. With the cars running well, it was back to the cabin for family supper and hopefully a few hours of sleep. 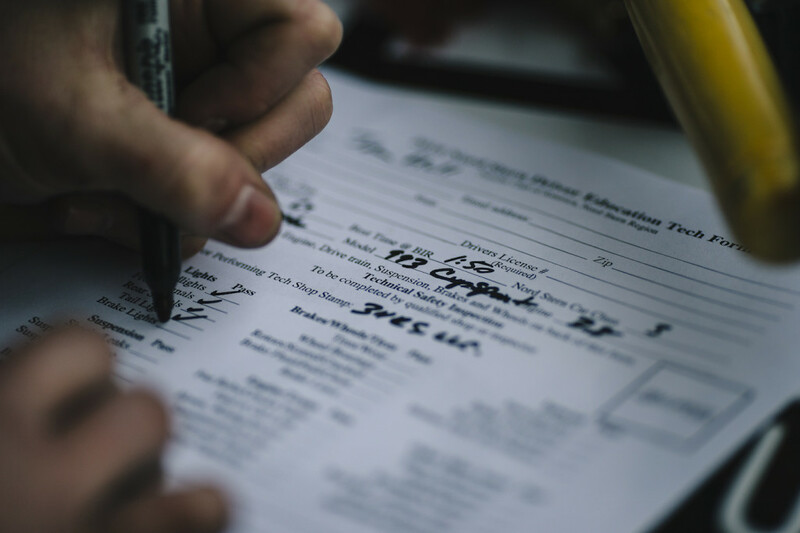 Coverage from day two is up next, with even more fantastic photos from Peter. Images courtesy of Peter Lapinski.